Maybe you didn't know this, but the dolls in The Homemade DollHouse just LOVE Haiku and they love reading and learning about Japan. 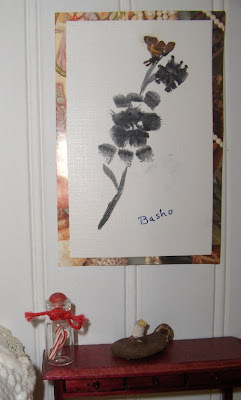 Imagine their shock and delight when this painting signed "Basho" turned up on the auction block! Of course they put their pennies together and bought it! It may be authentic. It may be a fake. All they know is that they love Basho! 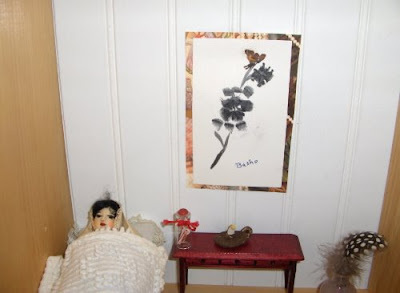 They elected to hang the large painting in Mei-Ling's room. She's so happy.